Veteran Hollywood actor Charlton Heston has died. He was 84. 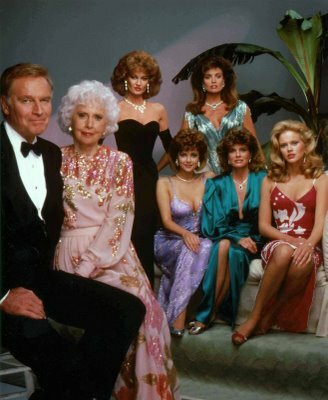 In television roles Heston was known for Dynasty, The Colbys (pictured), and early appearances in General Electric Theatre, Playhouse 90, Your Show of Shows, The Philco Television Playhouse, and Studio One. In later life, he served as president of the Screen Actors Guild and chairman of the American Film Institute and marched in the civil rights movement of the 1950s. But he became president of the National Rifle Association andengaged in a lengthy feud with liberal Ed Asner during the latter’s tenure as president of the Screen Actors Guild. Ahh, Stephanie Beacham. Joan Collins’ only serious contender in the quest for 80s hair bigness supremacy.